the engineer's other life: I wanna go to space! I wanna go to space! I would literally need to be a rocket scientist (I'm not). 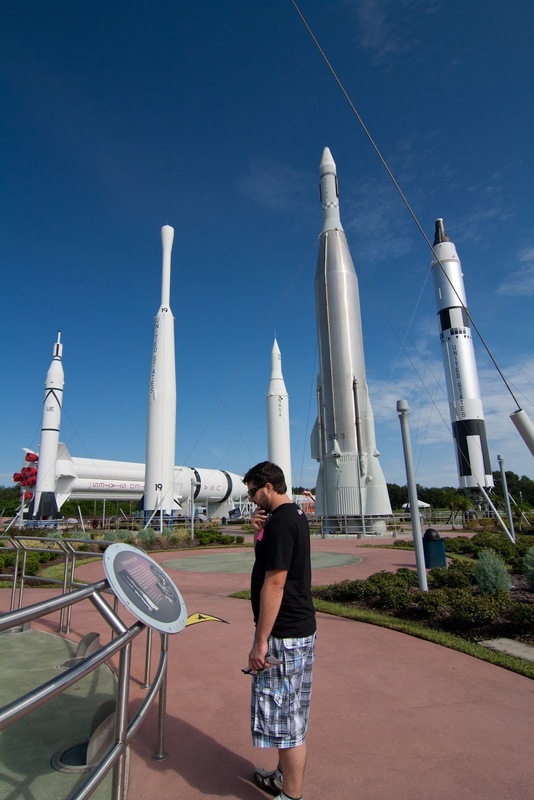 So the next best thing was to visit the Kennedy Space Center in Florida. Which took a further 13 years from when I realised that astronautics was not a likely job field! Oh my gosh though, it really was the greatest day when I visited there. It was AMAZING. Yes. The fact that we really developed the technology to send people to the moon... the wonderful scientific discoveries along the way... the sheer scale of effort that achieved all this. Makes the end of the space shuttle programme even more sad. 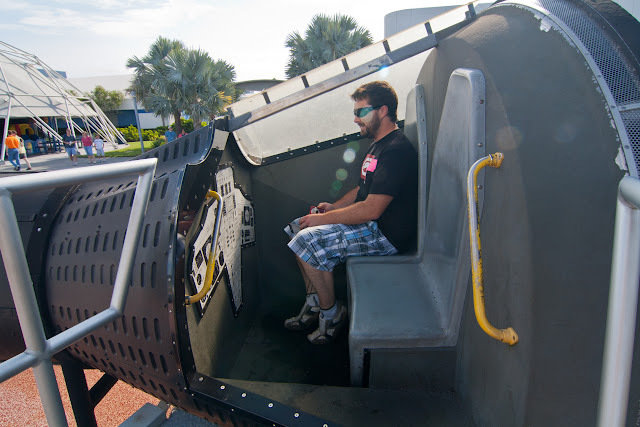 The rocket garden was great. It was a collection of actual rockets (unused, obviously) that were used to fling our fellow man out of Earth's atmosphere. They are both large enough to be amazing feats of engineering, and small enough to wonder how they got men into orbit! 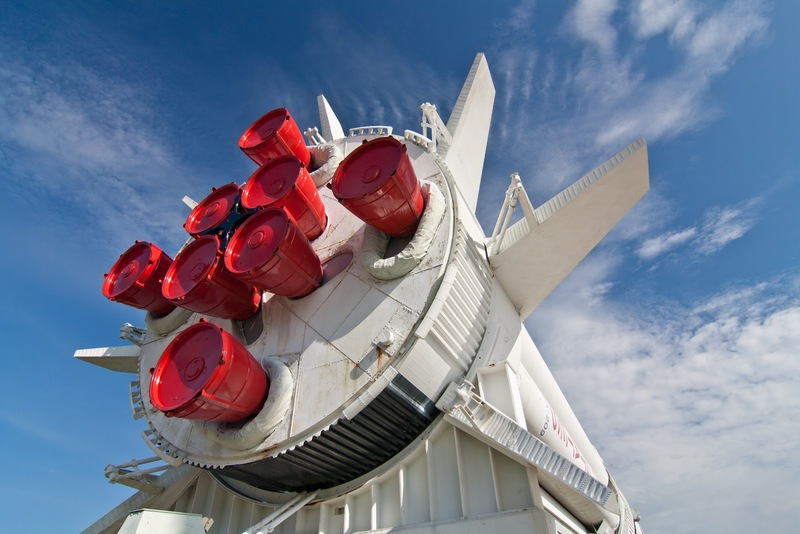 Can you imagine this capsule, with two blokes in it, plus equipment and space suits? And to think some of them were up there for nearly 14 days? Crikey, going to the toilet must have been awkward (yes, that is the first thing I thought about). 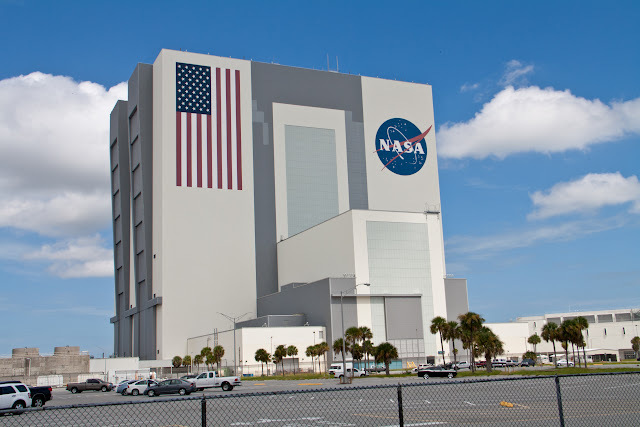 This (the Vehicle Assembly Building) is the fourth largest building in the world. It's hard to understand its scale, even in person. The blue part of the flag is the size of a basketball court. Each of the stars is 6ft across. The big garage doors open to let the rockets come out. 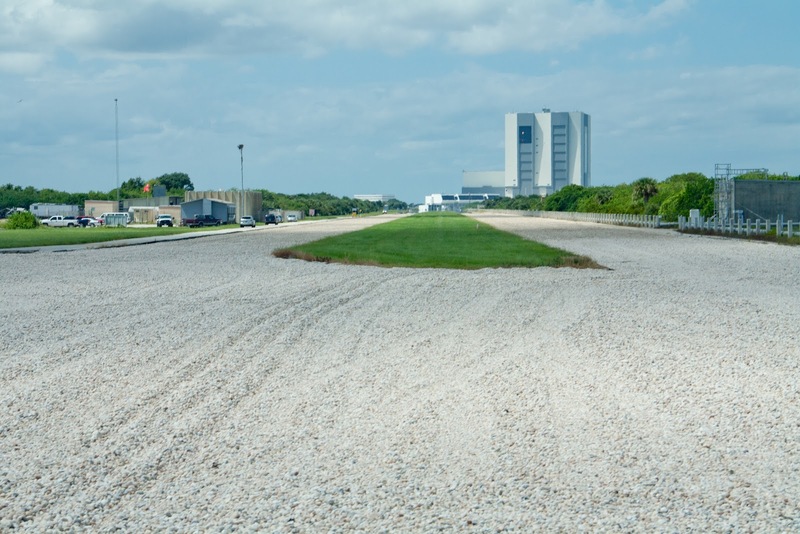 Then the rockets tootle on down this road to the launch pad. Imagine a giant army tank with a rocket on top. Its caterpillar tracks go on EACH SIDE of the grass bit. That's how freakin' huge this machine is. It weighs 2721 tonnes, and uses an economical 296 litres of diesel per kilometre. 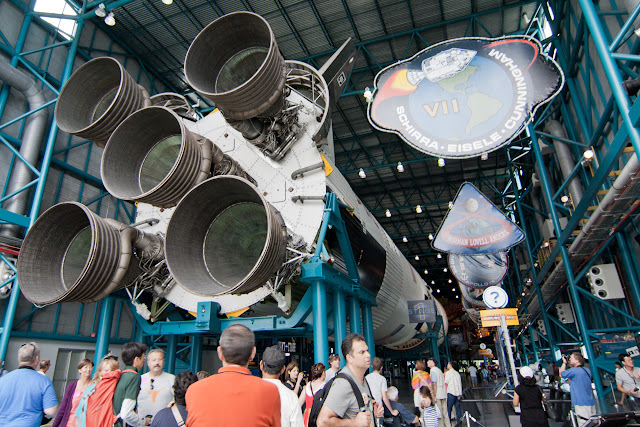 It's also impossible to understand the scale of this rocket, but the Saturn V is what we used to propel men to the moon. You truly have to experience this place (but I hope you enjoy my photos anyway). And you can't discuss the wonderful achievements of space travel without acknowledging the people who gave their lives in the process. 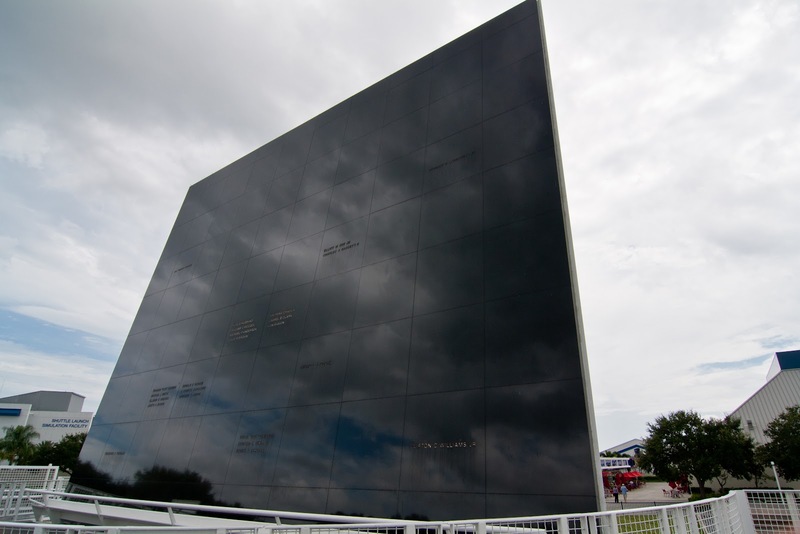 This is the beautiful Space Mirror Memorial to the astronauts who died in the pursuit of greater knowledge. 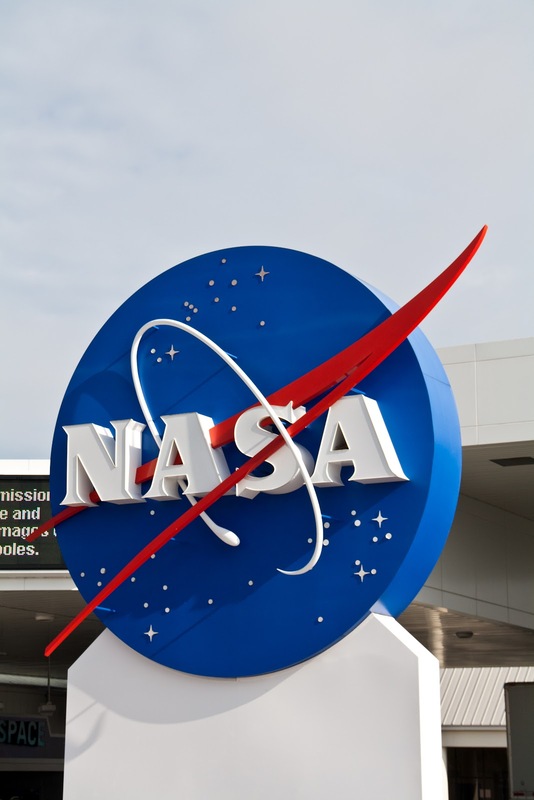 In conclusion... yeah, I still want to be an astronaut! I went to the Kennedy Space Center when I was too young to remember anything except for the dippin' dots ice cream. I should go back cause it looks awesome! If you have the opportunity to go, I'd highly recommend it... I'm still grinning from ear to ear thinking about how awesome it was! Awesome post. It's a place I would love to visit.